What Zero wonders. Part 2. 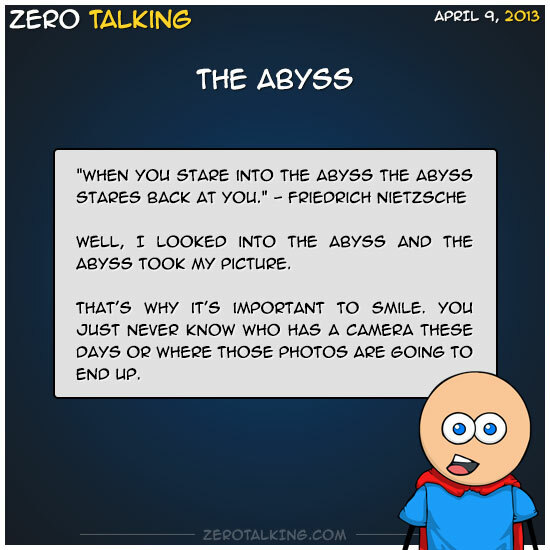 Well, I looked into the abyss and the abyss took my picture. That’s why it’s important to smile. You just never know who has a camera these days or where those photos are going to end up.